Start downloading them all here! New Easter-themed Backgrounds at SanrioTown’s Download Center! 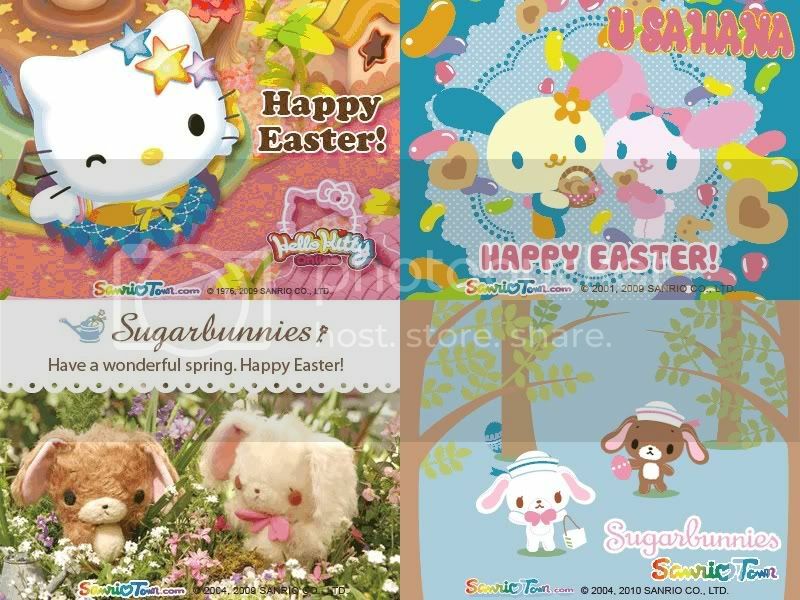 Want to have cool Sanrio wallpapers this Lenten season? Look no further than the new wallpapers we’ve made just for you! These are perfect as desktop backgrounds, Twitter wallpapers, poster backgrounds, and any other use you can think of related to Easter! By the way, if you haven’t heard yet, we have a new Easter contest this April! Click here to find out how to join! Jewelries on Sanrio’s Online Shop is on Sale! Good news! Sanrio’s diamond jewelry line is on sale. You can now get that item you’ve been wanting to with a 40% off to its original price! Grab this chance now before the items go back to their original price tags! SanrioTown Asia, SanrioTown Europe, and SanrioTown SEA will be undergoing some technical maintenance on March 29 from 12 pm to 5 pm HKT. That means you won’t be able to use any of the SanrioTown services during that time, but don’t panic! We’ll make sure everything will be up and running again as soon as possible! Thanks for understanding, everyone! Have a great day! Get ready to test your skills! March 29, 2010 marks the official launch of the SanrioTown Game Center in Hello Kitty Online, and to celebrate HKO will host a massive week-long minigame competition! Not only will you be able to play 30 addictive arcade games in HKO, but you could also win cash-only items from the Item Mall! Do you have what it takes to be an Arcade Superstar? Read on to find out more! The event will run for 7 days starting March 29, 2010 until the end of April 4, 2010 in North America, Europe, Indonesia, Singapore and Malaysia. There are 30 minigames to play. You win by achieving one of the top 3 high scores in any one minigame. You can only win at one game. If you have winning scores in more than one game, only your highest achievement will be counted. All top scores for all games will be reset on March 29, when the contest begins. 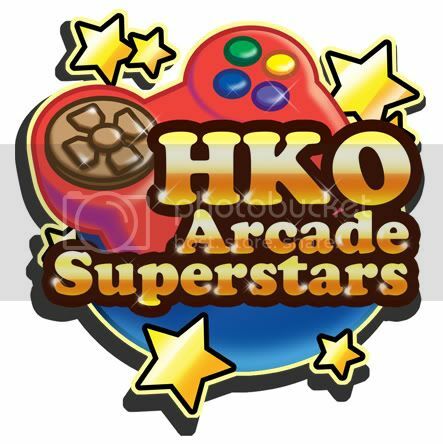 To compete in HKO Arcade Superstars, simply talk to the Minigame Manager NPC in Sanrio Harbour, Florapolis, London, Paris or Beijing to start playing a game and try to get a high score. Other players will be trying to beat your score, so make sure to defend your standing throughout the event! At the end of the event, the players with the 3 highest scores for each of the 30 games will be declared the winners. Each player can only win once. If a player wins in more than one minigame, the player next in line will be declared the winner instead. Remember the above applies to each minigame (there are 30 minigames). We hope you enjoy the event and the new games. Good luck in HKO Arcade Superstars!